Rhinoplasty procedures help to alter, reshape, reconstruct, and enhance the look of the nose to make it appear more aesthetically appealing. Eyelid surgery, also known as a blepharoplasty or eyelid tuck, works to eliminate excess fat, skin, and tissue from the lower and/or upper eyelids. 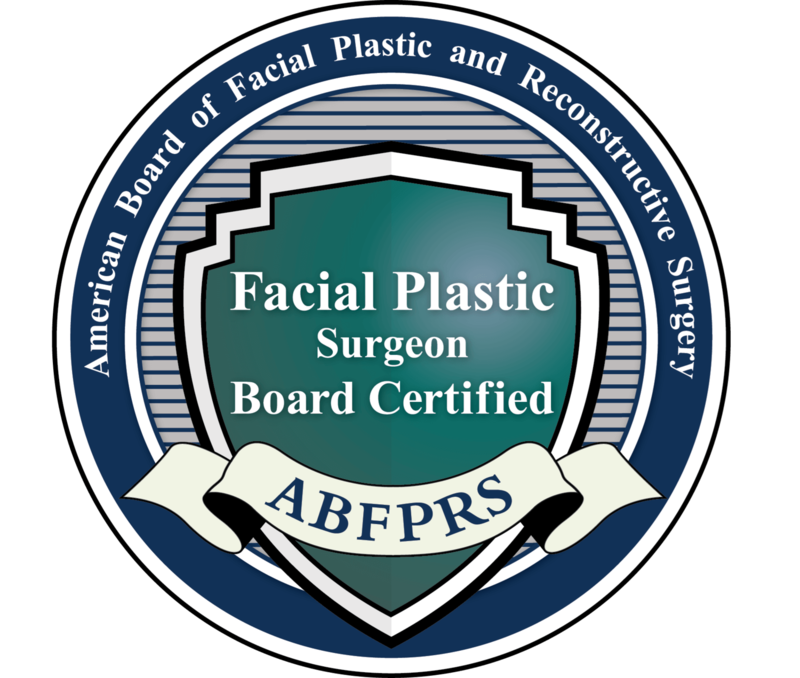 A facelift procedure lifts the facial skin to help eliminate wrinkles and fine lines to create a younger-looking and more firm facial appearance. A neck lift works to diminish the signs of aging from the neck and jawline by removing sagging, excess skin and creating a tighter appearance. A brow lift repositions the eyebrows to create a younger appearance and even out the skin for a firmer, smoother, and more awake look. Earlobe repair surgery works to mend the earlobes after significant stretching, tearing, or other aesthetic or functional issues. An otoplasty, also known as ear pinning, can alter and reshape ears that may appear too large, too small, or too far out from the head. Cheek implants can add volume to the cheeks to enhance the structure and create a more defined and proportional appearance to the face. Chin augmentation is a procedure to reshape and enhance the chin with an implant or reduction of the bone to create a natural appearance. A fat transfer procedure uses liposuction to obtain fat from one area of the body to then inject it into another less voluminous area of the body. Lip augmentation procedures can plump, enlarge, and reshape the lips using filler injections or silicone implants, and includes lip lift procedures. A liposuction procedure removes excess fat which can enhance the face and neck to help them appear tighter, smoother, and slimmer. Facial paralysis can be caused by trauma, disease, or a birth defect and can be treated to restore both aesthetic appearance and functionality. Vascular malformations are treated using advanced nonsurgical techniques or reconstructive surgery after a thorough facial analysis. Maxillofacial trauma can occur at any time from a number of injuries and incidents but can be treated to create maximal functionality and appearance. Nasal reconstruction surgery can be used to reconstruct the area after the removal of a tumor and restore the form and function of the nose. For life after cancer, you may need a facial plastic surgeon you can trust, like Dr. Saman, to reconstruct or reshape your features to look natural.